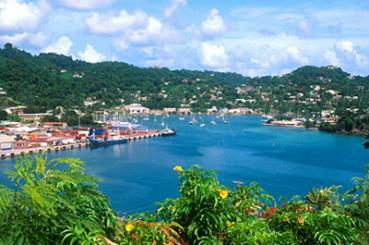 A recent Real Estate Report published by ISLA Advisory & Consulting states that Grenada’s real estate market is virtually stagnant. The report, which is published quarterly and provides a detailed analysis of Grenada’s monthly real estate transactions for the entire island, points to three strong trends in the market. Firstly, monthly transactions remain very limited; Secondly, the transactions that are occurring are at the lowest dollar values and involve vacant land; And thirdly, transactions are beginning to include an increasing number of sales that are a result of foreclosure/Power of Sale. The report provides further insights by breaking down the transaction data by parish, property type, dollar value, etc. In this regard Keller is looking for Grenada’s new development initiatives to stimulate real estate development and stabilize the local market. Keller says that there is tremendous potential for several of the policy initiatives announced by the Government, such as the Citizenship by Investment Program and the removal of the requirement for an Alien Landholding License for CARIOM Nationals, to return some vibrancy to the real estate market. He cautions that without decisive policy modification or intervention, the market will continue to exert downward pressure on prices and severely hamper chances for significant development.